PDJ Vibro Barrel Finishing machines are designed to process small robust components where an aggressive process is required. The finishing media and chemical additive combinations provide a wide spectrum of finishes from simple deburring, edge breaking, radiusing. The sliding / tumbling action along with the potential process chamber sizes makes this machine ideal for a selection of applications. Process chamber sizes range from 15 litres though to 500 litres. 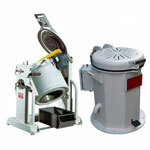 Vibratory parts / media separation unit. Barrel finishing can be dirty at unload due to the process using batches of water and chemicals. Media and parts separation can be laborious. 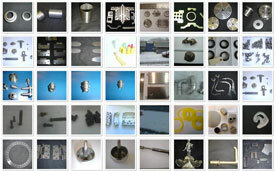 Process chamber linings commonly last 2-10 years (subject to use). Motor bearings will require replacing every 5000 hours. Running costs can be calculated after process trials. To discuss your project our experts are ready to help on 01908 648757.